1. 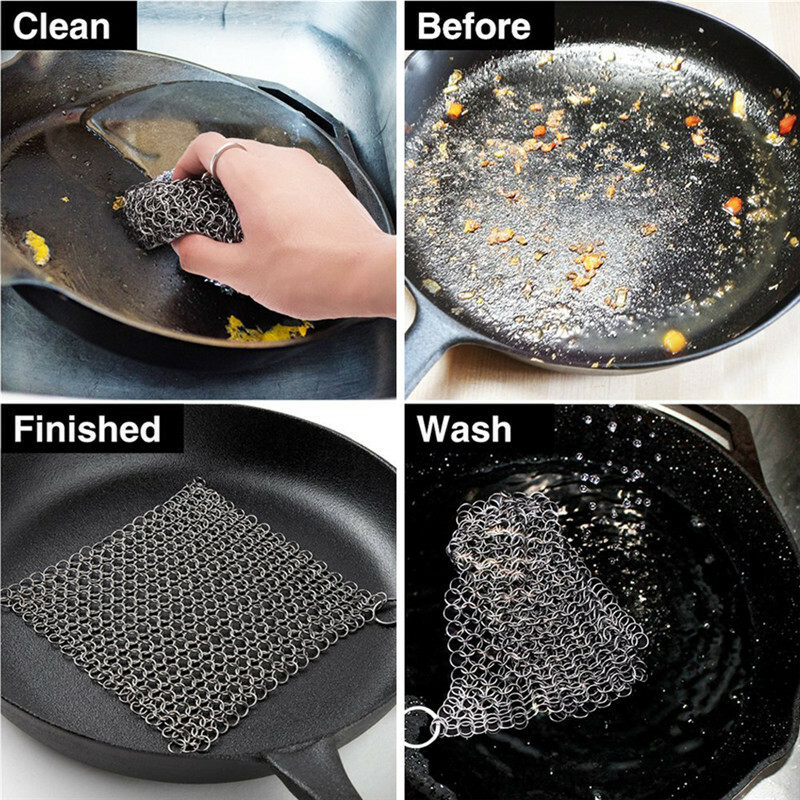 Goodbye to Grits, Scratches and Stripped Seasonings: nobody wants to spend their whole day scrubbing after cooking.That’s why Aihome Chainmail Scrubber makes it easier. 2. 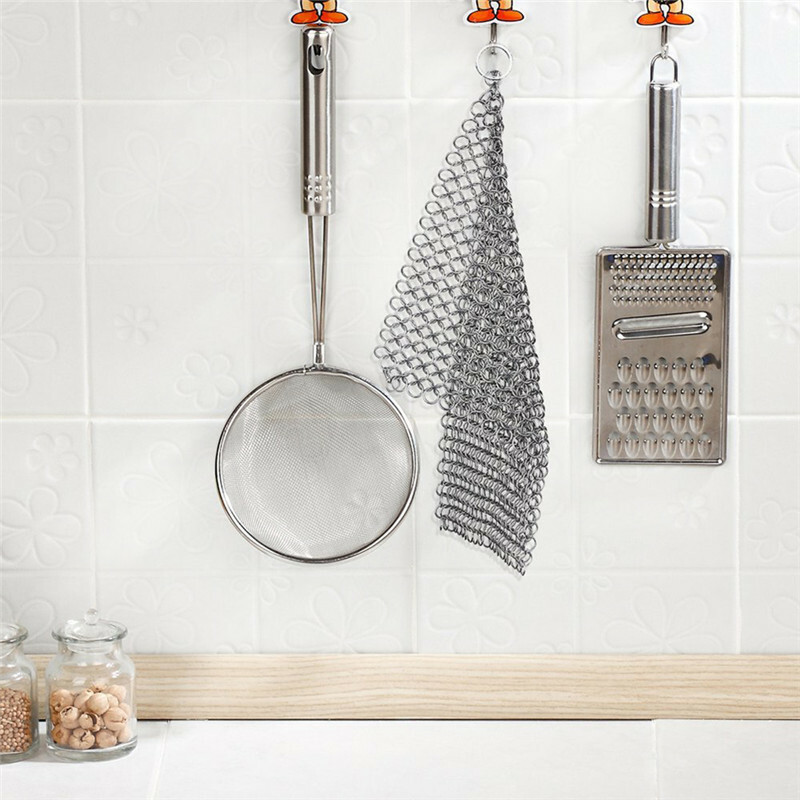 It’s High Food Grade, Restaurant Quality Stainless Steel is tough on grit without ruining your pan’s seasonings. 3. 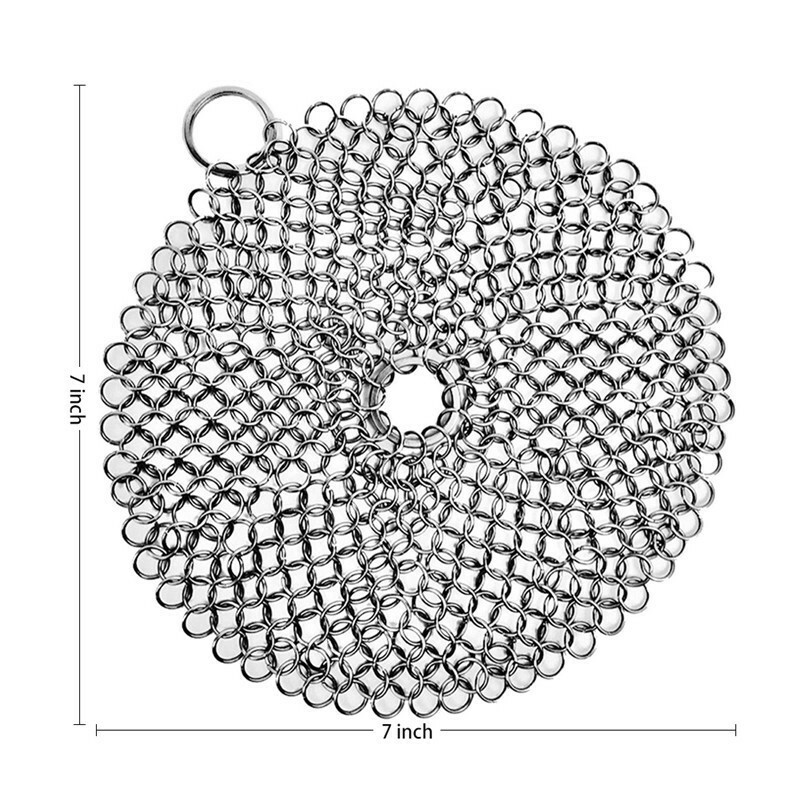 Eco-friendly and Enduring: unlike steel wools and brushes, no need to replace the chainmail scrubber. 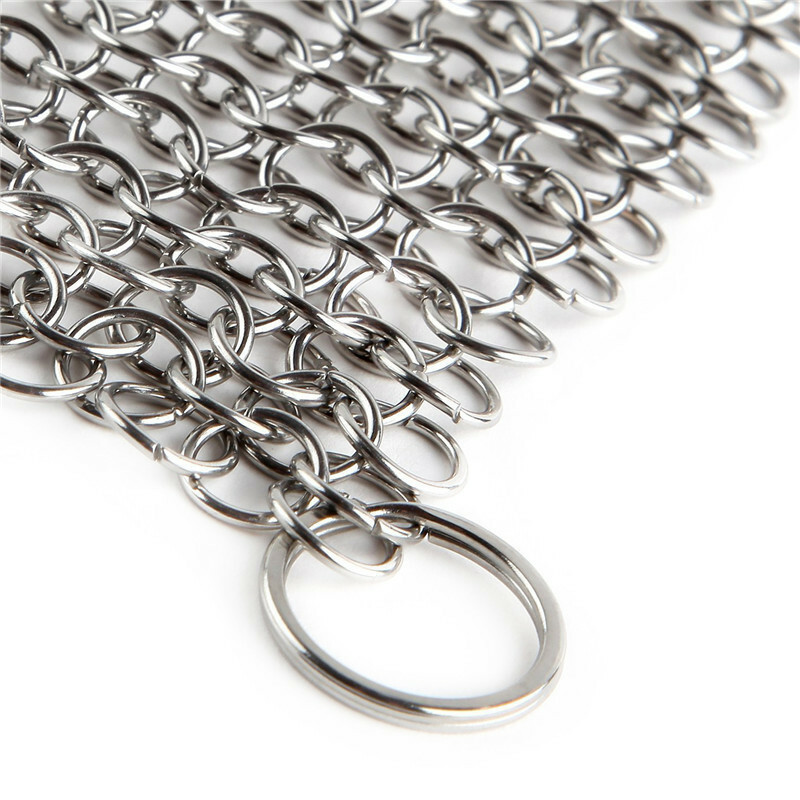 Each Quality Handcrafted Ring resists rust and tarnish. 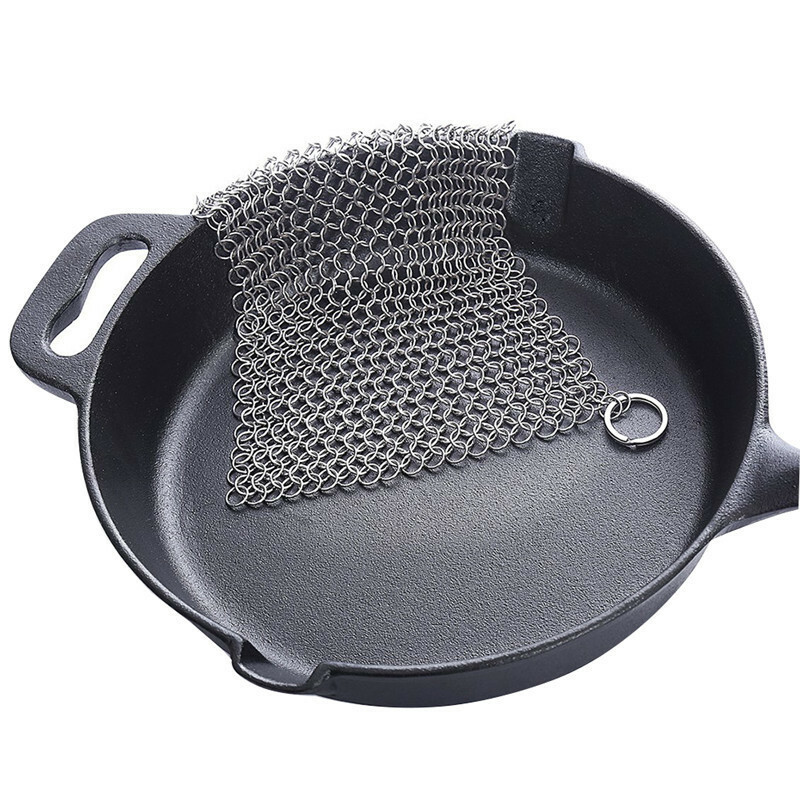 It’ll last as long as your cast iron cookware would. 4. 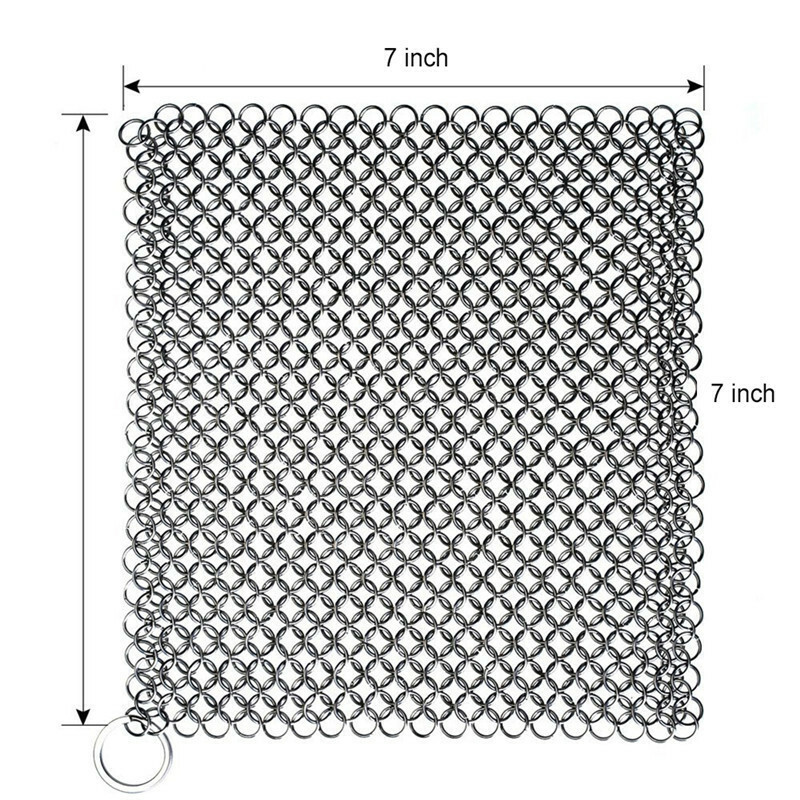 Lightweight and Multi-Purpose: perfect for camping, home, and traveling. 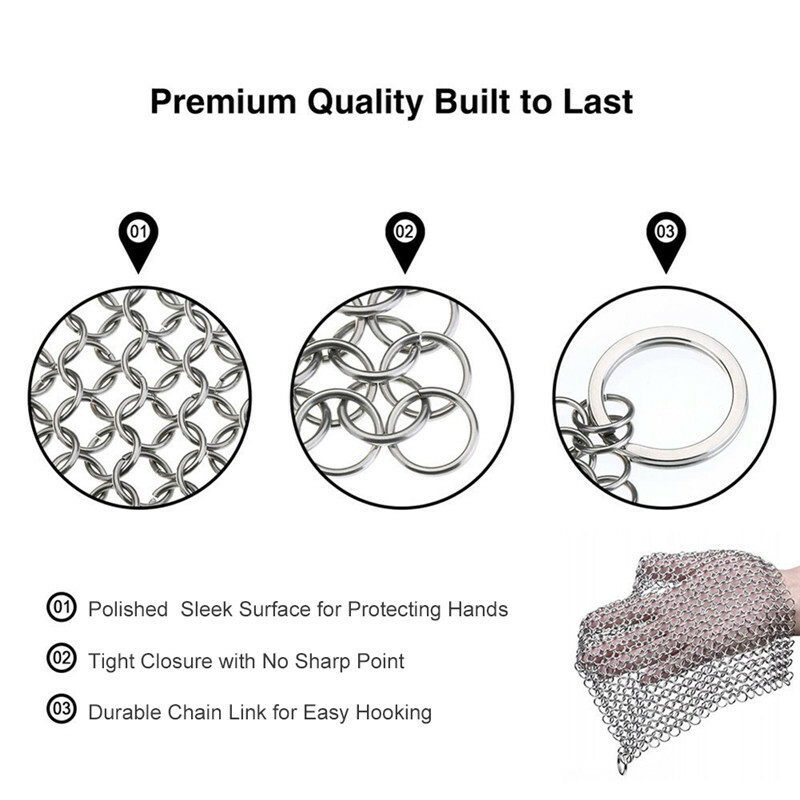 It’s pocket-size and perfect for skillet, dutch oven, baking sheet, tea pot, griddle, cauldron, hibachi, tortilla press, pie pan, waffle maker, wok and more! 5. 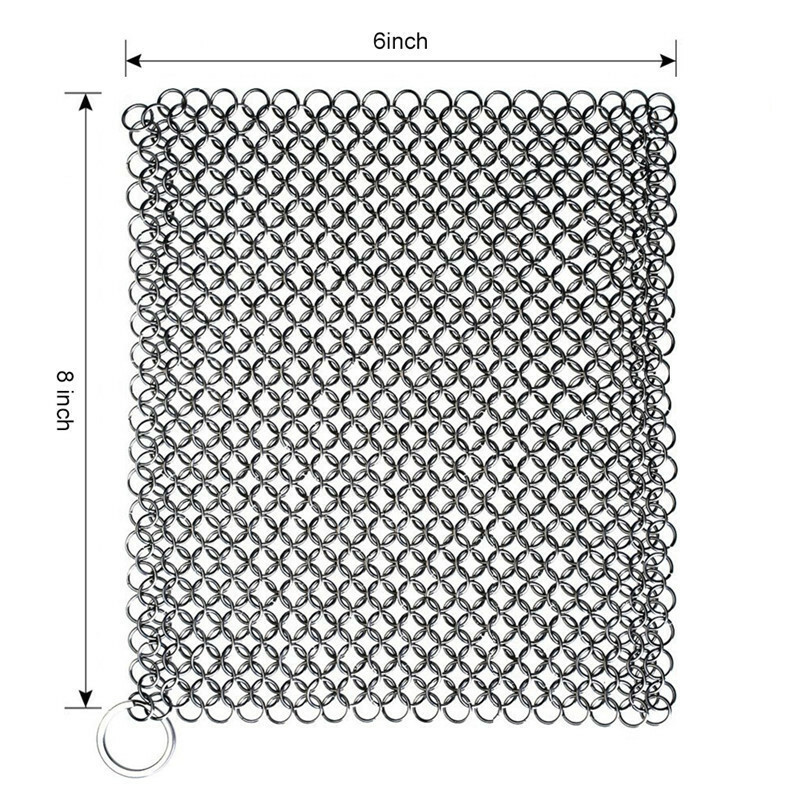 Relax, it\'s Dishwasher Safe: Our Cast Iron Cleaner washes easily by hand or machine. Clean it, dry it and you’re done. 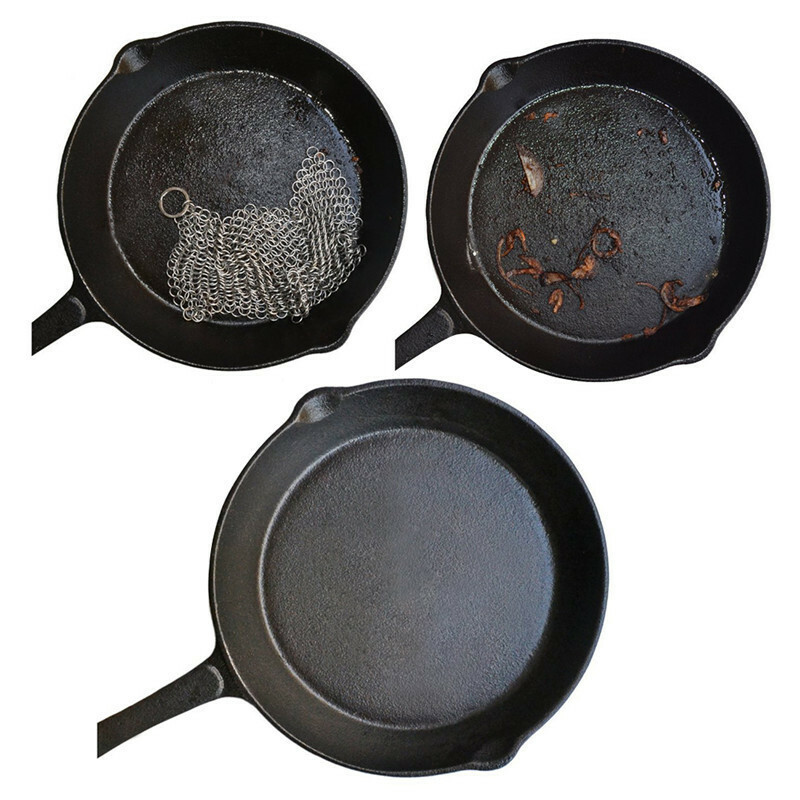 The Best Tool for Cleaning Cast Iron Cookware: Rags will be thrown, scrapers looked unsightly after use, brushes looked worn after some time. 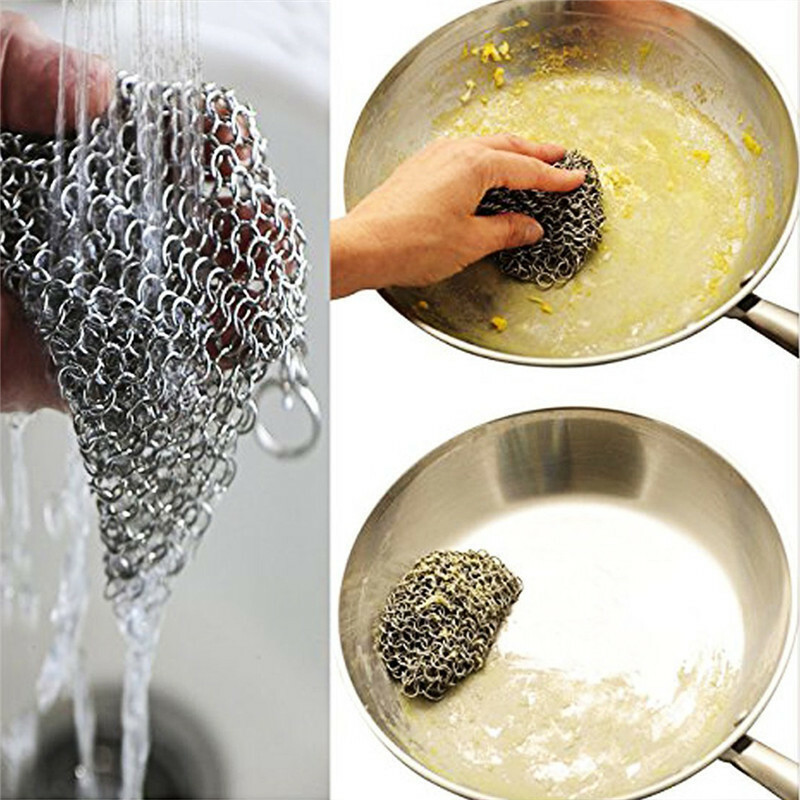 But Chainmail Scrubbers? Reusables. Durable. Tough. Easy to wash.